What an absolute treat to interview today’s podcast guest. Melanie Shankle, aka Big Mama, not only knows how to make you laugh hard and feel comfortable, that girl knows how to write. “*. If you haven’t read that one, well, you should. In a way only she can, by the end of the book you have new, enamored eyes for your kids. You treasure those tender fleeting moments and decide to laugh at the challenges. ” became available. This time Melanie focuses on her marriage. She paints a picture (through lots of hilarious stories) of how two very different people can share one life and be all the better for it. During this podcast (one of my longest so far…but just like her books, it’s enjoyable because she’s just so funny) Melanie and I chat about lots of things. And go on a few tangents…including my children possibly being stuck at school because of the snow storm hitting Dallas. Hear the story behind her book title…aren’t you curious why there is an antelope in the living room? Be reminded to find the funny and good moments in the midst of the mundane, because life is hard (with or without being married). Hear what her husband, Perry, has taught her over the last 16 years. Get a little sneak-peak into one of the funniest chapters of the book entitled, “The Time I Almost Went on Judge Judy“. Laugh with us when you hear one of Melanie’s humbling marriage stories (involving a flying cordless phone). Be encouraged that it’s okay if you don’t share every moment & every hobby with your spouse. 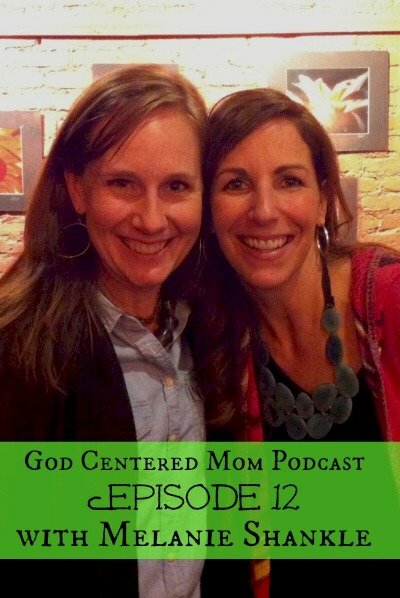 Hear Melanie share how she stays God-centered…being a Spirit-filled wife & mom, her routine spending time with God, and how she decides what to read from the Bible. After listening to the podcast or reading the book you have questions, leave them in the comments and we’ll answer them.